Tight on time? Stick with the 3 Key Takeaways and The Basics. 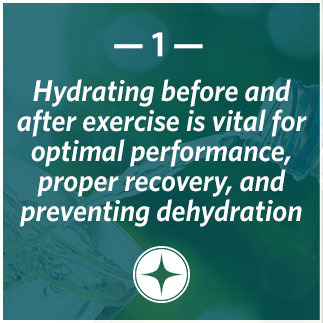 These will provide your athletes with a solid foundation for understanding the importance of staying hydrated. What does staying hydrated do for your body? Better regulates the body’s temperature Among many other benefits. And many other symptoms which can all compromise performance and impair cognitive functioning. 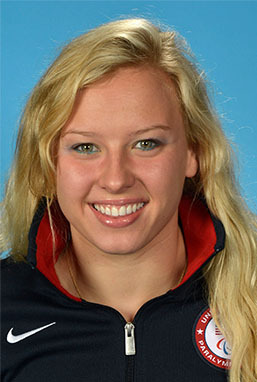 Paralympic swimmer Jessica Long knows a thing or two about peak performance. Before her 25th birthday, Jessica had already won 13 gold medals at the Paralympics and 10 at the IPC World Championships. The first thing Jessica does when she gets to the pool is fill up her water bottle—during difficult practices, she can drink up to three full bottles. The last thing she does is wait until she feels thirsty, a habit that helps her stay on top of her hydration. Staying hydrated is more than just what you are drinking and how much, but also when. 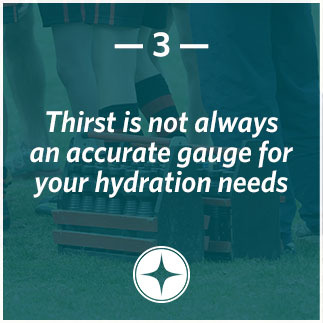 Proper hydration begins long before the first whistle, and is just as important after the game or practice is over. 1. What was the main point you took away from Jessica’s words? 2. Were you surprised to hear that swimmers like Jessica need to hydrate even though they are often in the water? 3. Besides your coach providing water breaks, how can you take responsibility for your own hydration while playing sports and in your normal everyday life? Use this 15-minute activity to test your athletes’ knowledge about hydration with these conversation starters. This 10-minute quiz will test your athletes’ knowledge of hydration best practices (answers included). Celebrate your groups’ completion of the TrueSport Hydration lesson with this special certificate. Sign-up to receive Hydration resources!